Κωδικός: 704 2 bed/rs traditionally restored stone built house in Gonia, near to the city and beach! Κωδικός: 380 Lovely stone villa for sale in Kissos area not far from the city and beaches. Κωδικός: 626 Stone built villa of 2 b/rs in a quiet traditional village with nice views, close to the beach. 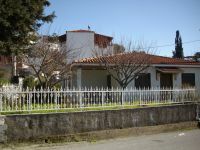 Κωδικός: 636 Well renovated traditional house of 120 sq.m offering garden and nice views! Κωδικός: 203 Traditional stone built villas in a quiet traditional village with nice views, close to the beach. Κωδικός: 529 3 villas under construction on the south coast near to Plakias, in Mariou. Κωδικός: 214 Stone villa with nice views in the village of Erfous.